Tampa Bay, FLA (February 06, 2017) – Tampa’s Bay Harbor Hotel has completed the first phase of a multi-million dollar transformation into a seaside haven. Chicago-based Oxford Capital Group, LLC through its management affiliate, Oxford Hotels & Resorts, LLC, acquired the property in late 2015 with the intention of reinventing the hotel and beach front complex as a coastal-chic, full-service lifestyle hotel & resort and selected the Miami office of global design firm, The Gettys Group, to help achieve the vision. With the completion of phase One, fifteen additional guestrooms were added which include hardwood floors, custom contemporary furnishings, frameless glass-enclosed walk-in showers and backlit LED mirrors. A sense of tranquility and openness is achieved in the new lobby through use of luxurious, yet laid-back, finishes and furnishings including Italian tile, coastal lounge furniture and nautical accents. With ample space for lounging, business work stations and a gift shop, Bay Harbor Hotel guests now have options to suit any need. Beach Bar | Restaurant, Bay Harbor Hotel’s indoor/outdoor waterside restaurant is virtually unrecognizable as the former “Hogan’s Beach”. Gone are bright red and yellow walls and furnishings. Instead, relaxed island-style spaces in calming hues conjure sensations of Key West, but with a healthy dose of the urban sophistication that is the hallmark of Oxford Hotels & Resorts. Fully capitalizing on its Old Tampa Bay views, the best sunsets in Tampa and a private 3200 sq. ft. pier, Bay Harbor’s exterior improvements included the addition of lounge seating areas surrounding fireplaces, sumptuous cabanas, new poolside furniture, new hardscapes, cable rail balconies allowing panoramic views and a soft-blue building façade. All meeting and special event rooms have been outfitted with new fixtures, furniture and carpets, maintaining the overall coastal-chic aesthetic of the rest of the resort. About Beach Bar & Restaurant: Beach Bar & Restaurant has introduced a distinctive beachfront dining experience to Tampa Bay. 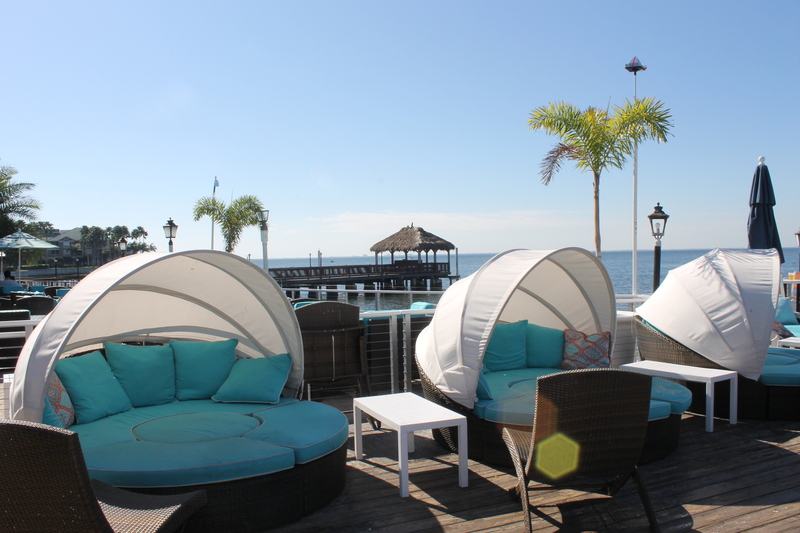 Located next to the Bay Harbor Hotel on the waterfront of Tampa Bay, Beach Bar & Restaurant is a 20,000 sq. ft. indoor/outdoor venue featuring three bars. This contemporary concept serves fresh seafood and American classic dishes. The restaurant is open seven days a week and serves breakfast, lunch, dinner and late night bites. Oxford Capital Group, LLC is a national real estate investment, development and management firm. Oxford Hotels and Resorts, LLC is its wholly owned hotel operating affiliate. Oxford, its affiliates and principals have been involved in approximately $2.5 billion of real estate and private equity investments, including approximately 13,000 hotel rooms and over 2,000 assisted living units and nursing home beds. The firm’s primary areas of focus are hospitality, urban mixed-use including residential, senior housing, multifamily, urban retail, parking, and other operationally intensive forms of real estate. Oxford’s geographic focus include the nation’s top metropolitan areas: Boston, Chicago, Los Angeles, Miami, New York City, Portland, San Francisco, Seattle, metro Washington D.C., select resort markets, and other markets with unique attributes including Charleston, SC, New Orleans, LA and various markets throughout Florida. Its current portfolio includes a growing collection of upscale, upper upscale and luxury lifestyle hotels and brands including Cass, Felix, Godfrey, IO, Essex, SX, Bay Harbor, Beach, LondonHouse and LH. For information, visit www.oxford-capital.com.